Olive trees are a species (Olea europaea) of genus Olea and family Oleaceae. It grows as a evergreen that mostly inhabits the Mediterranean area and California where the climate is warm and cool. It is best known for its fruit, which contains oil used in food, fuel, and so on. As most olive trees grow in the Mediterranean area, most olive oil is produced in this region. 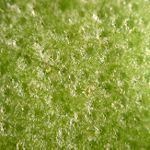 The peltate scales under leaf at 100x. The olive tree ranges from 8 to 15 meters high, and the leaves are about 4 to 10 centimeters long. The leaves fall in about two years and regrow in the spring. The olive tree has a flower, which is small and white, and hidden in the leaves. The olive tree makes two sorts of flowers: perfect flowers which have male and female of reproduction, and staminate flower, as the name says, it has only stamens. Moreover, the olive tree produce fruit which has a purple color of plumps and oval shaped. The olive tree takes about 4 years to bear the plump. 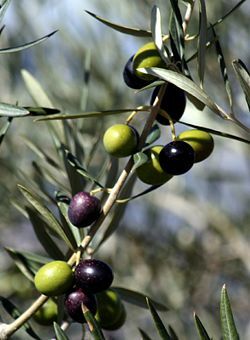 There are two reproduction of olives: self pollination and cultivation. First, pollination can be the first and important steps to set the fruit or crop. Success in pollination is how fast the pollen grow in the embryo sac. There are two environmental conditions that can set the fruit's level are stressing environmental conditions and no stressing environmental conditions. The olive should get a nitrogen to fertilizing well. The olive trees in Mediterranean, fertilized in every each years. There are three cultivations that the growing olives should have: Climatic requirements, soil requirements, and water and irrigation. First, the olive trees are normally grow in 30 to 45 degree. Mediterranean has the best climate to grow the olive because they have hot in summers and cool in winters. The temperatures below -5 degree can damage the fruit and temperature below -10 degree can kill the tree. Second, the olive tree can adapt to the soil with 8 potential of hydrogen. And they need about 1 meter deep to root can set down. In addition, the olive tree have to produce the well nutritioned fruits and the better taste fruit and it all depends on the soil's conditions. Third, the olives use water in the growing season because water can effect directly to growing. There are two seasons that the water is extremely needed: growth to flowering and growth of oil quantity. Old Oil-press in Chorazin (Korazim) Israel, a village in northern Galilee, two and a half miles from Capernaum on a hill above the northern shore of the Sea of Galilee. List of pests and diseases from olive trees. Growing of Olive Modern Olives. Olea Europaea Multiple Authors. California Rare Fruit Growers. 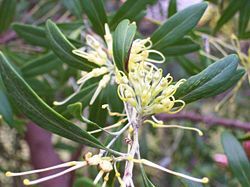 Ecology of Olea Europaea Multiple Authors. World Agroforestry Centre. This page was last modified on 26 May 2017, at 22:26.